When it comes to gluten, dairy and egg free breakfasts, we can be at a loss for a while. A breakfast without eggs, cereal, yogurt or toast? What will we eat? 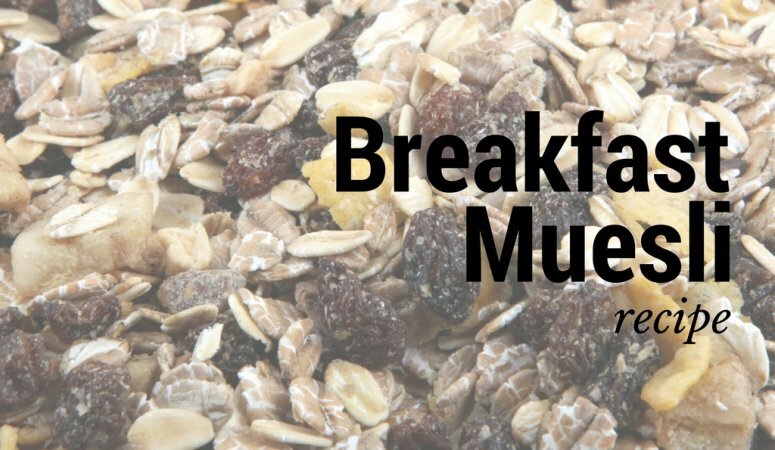 A diet free of dairy, eggs and gluten are staples of my Fertility Diet, and so Muesli is a FANTASTIC way to incorporate healthy grains, fruit, seeds and nuts. This is a healthy alternative high in healthy fats, carbohydrates and proteins. ***Ones with PCOS and Diabetes should be careful with the grains they choose and pair this meal with a high protein smoothie to counterbalance any blood sugar increase. 1) Mix oats, almonds, seeds, milk alternative, and cinnamon together in a large bowl. Cover and refrigerate overnight. 2) In the morning, mix in the rest of the ingredients and enjoy. Alternatively, you can combine all ingredients in the morning! Dr. Jessica is a Naturopathic Doctor, Birth Doula and Fertility Coach. She has helped women and couples all over North America achieve their fertility goals using natural methods and is the Founder of The Baby Bloomers. She currently practices outside of King City, Ontario in Canada. If you're wondering how our program works and if we're a good fit, we encourage you to view our webinar where we walk you through how our program gets results. If you have any other questions not addressed in our webinar, feel free to send us a message.